Easiest ladoos ever!! Make for a great treat for kids & as an offering during festivals. Or just make them for your snack time, they stay well for at least a couple of weeks. In a microwave safe glass bowl add the butter, melt for 30secs. Remove bowl from the microwave & add the gram flour or besan. Mix well. Put it back in the microwave & cook on high power for total of 3 mins, stirring every 30secs. Do not let it cook for more that 30secs at a time, as the flour will burn, especially if you are cooking it at high power. Just be patient & stay near the microwave & keep opening the door every 30secs & give it a quick stir. Do this for 3mins. Take the bowl out of the microwave mix everything & let it cool completely. The idea is to roast the flour, till its slightly brown or changes its color. You will know its done when you can smell the roasted flour. I cannot stress enough, how important it is to let the mixture cool completely. I do this in the evening after I come back from work, & let it sit on the counter till I finish cooking all the other meals & then before bed time just quickly roll the ladoos into balls. 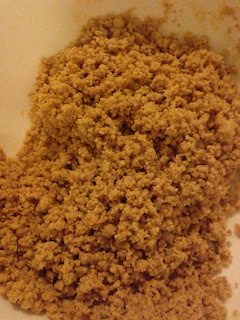 After the mixture is cooled, add the sugar & cardamom powder. You can also add some crushed nuts in the mixture when it’s in the microwave. 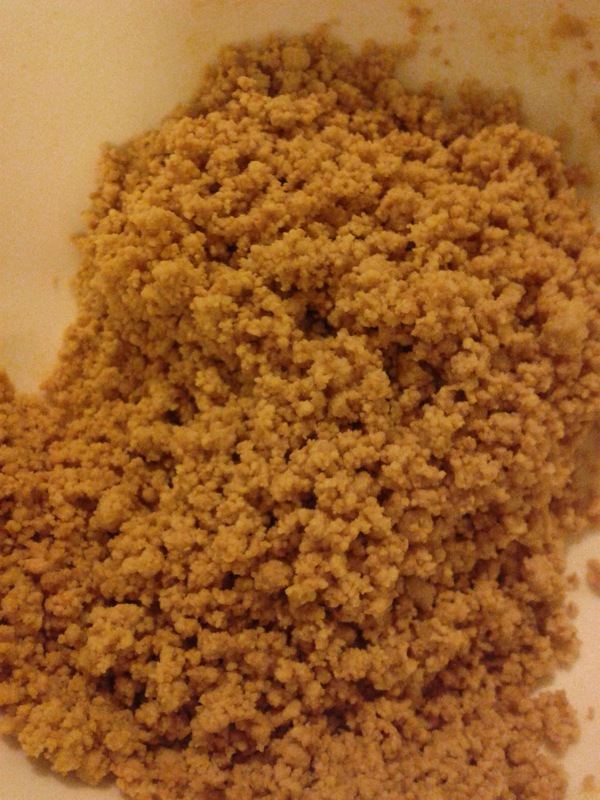 Slightly grease your palms & take a fist full of the mixture & start gathering the mixture to form a firm ball. Stick a piece of almond, or pistachio or raisin as you are rolling. Finish rolling completely into an even round ball, about the size of a lime. These are great to snack on in the evening or when you are studying & feel the need for a sugar rush.